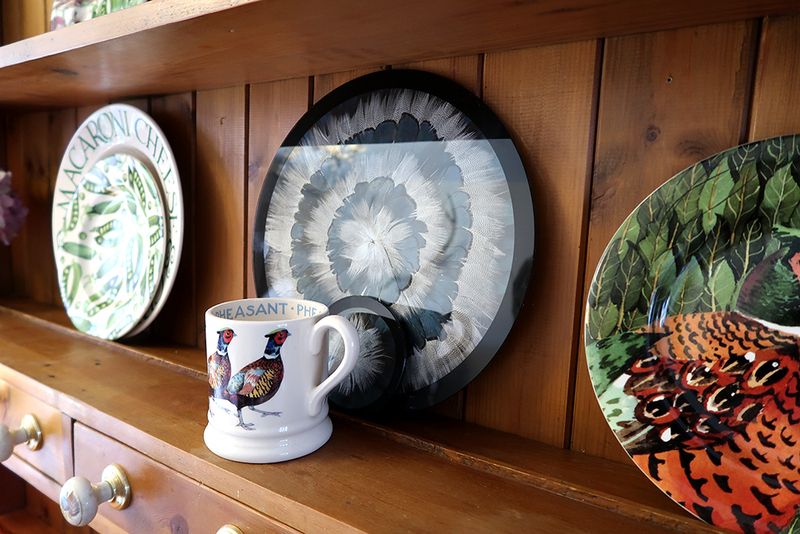 Whether you're hosting a dinner party or just adore the way these look, Wingfield Digby will certainly take center stage on your table. Aren't they just beautiful? I'm gobsmacked at how gorgeous the Duck and Green Pheasant set look in person. I'm a big (BIG) interior design fan. A lot of my time, effort (and money haha!) 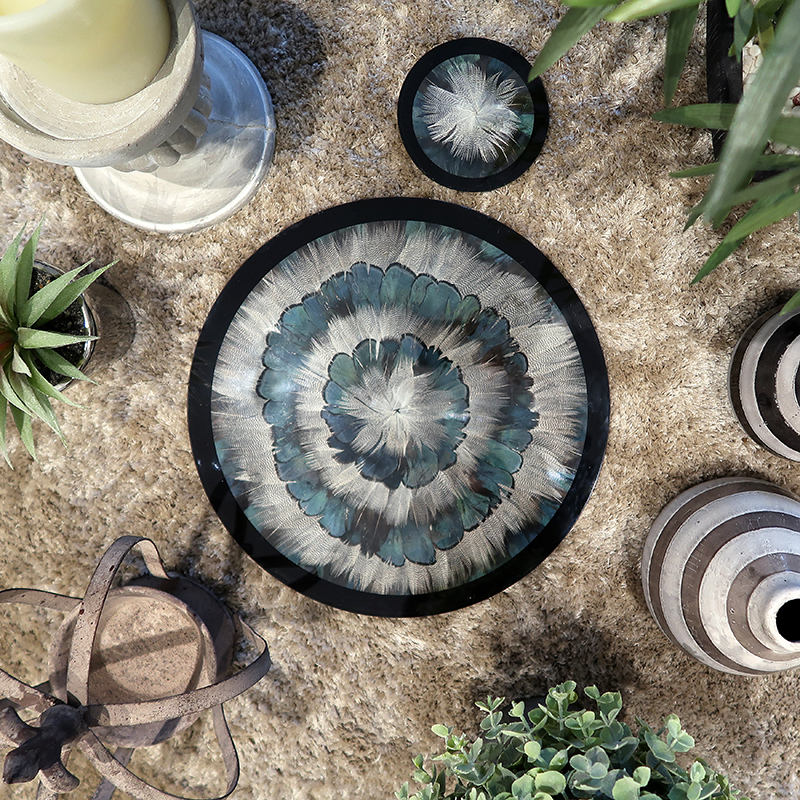 goes into home styling and sourcing gorgeous decor. 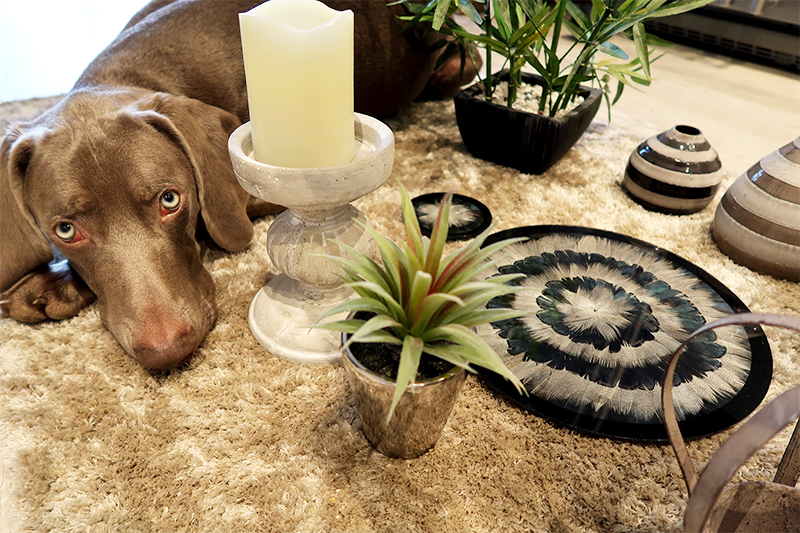 I am constantly on the look out for new and inspiring pieces to bring into my home. We have been in our home just over a year now. A few rooms are a bit bare and we still have furniture to buy here and there but I think this is such an exciting journey. I love every second of it! By the way, have you seen a Green Pheasant before? Also known as "Lady Amherst". The feathers from this set I am going to show you are from a Lady Amherst, which is different to your standard pheasant. They are dazzling, be sure to check them out. 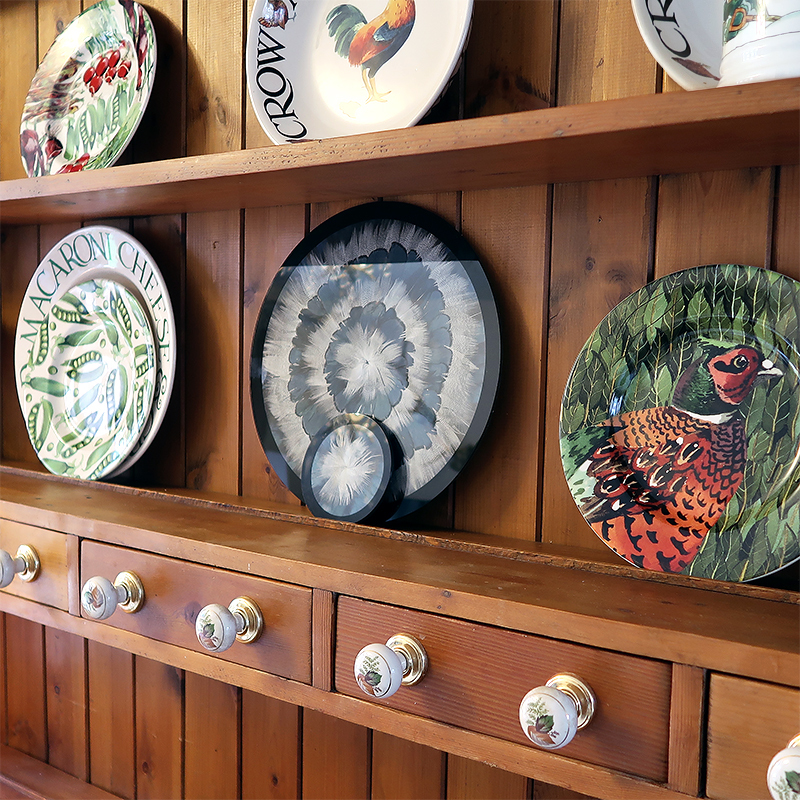 "The final pieces are very eye catching and look fantastic in smart London flats and country homes alike." "At Wingfield Digby, we design and produce a range of luxury gifts and accessories inspired by nature and the great British countryside. We have been creating and making a range of stunning pieces for interior designers and discerning buyers for over 5 years. 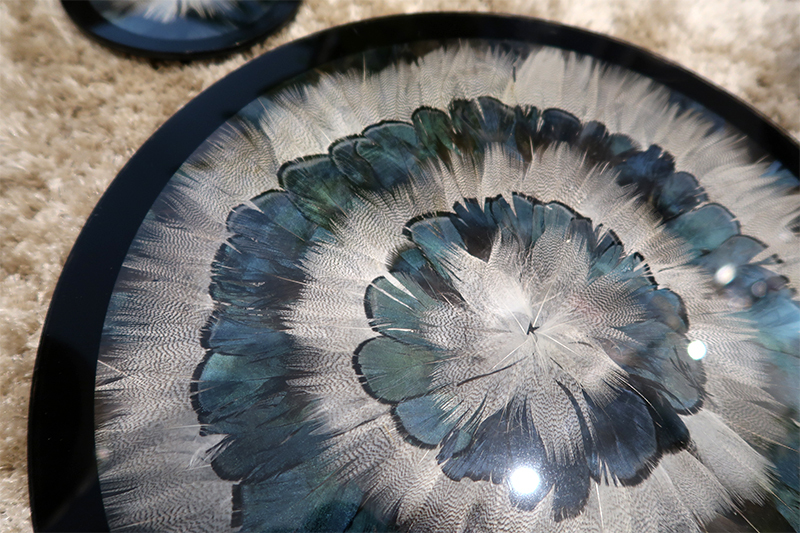 We started out by using natural feathers and turning them into hand crafted timeless gifts, from photo frames to heat resistant placemats; all as unique as the feathers we use to create them. The final pieces are very eye catching and look fantastic in smart London flats and country homes alike." 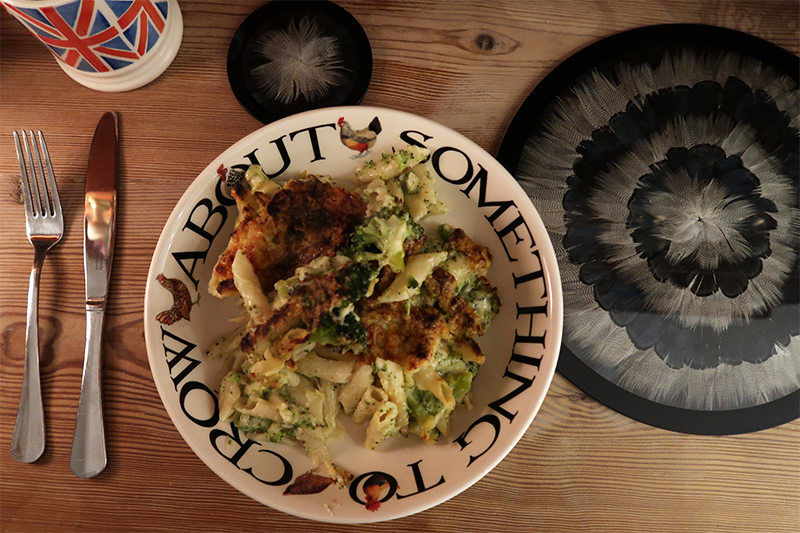 "The family run business has grown from creating at the kitchen table into a much loved luxury British brand"
"Inspired by nature and the great British countryside"
Cheeky monkey sneaking into the shot again! "I consider these a piece of artwork. They are really beautiful and certainly a talking point." "As all our feathers are sourced as a by-product of the game season, stock is limited so buy online today to avoid disappointment." 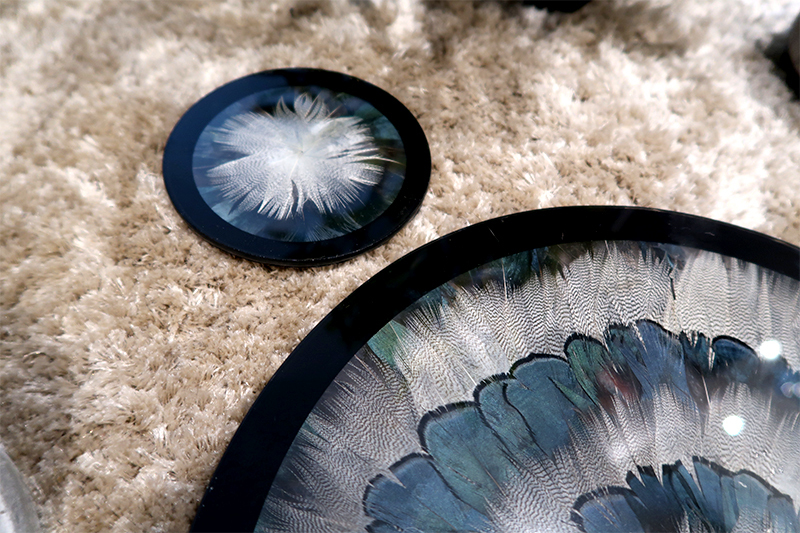 The feathers are hand selected, placed into the pattern then set into toughened heat proof glass. They are then backed in black baize/velvet. These would look amazing in anyone's home or make a spectacular gift! 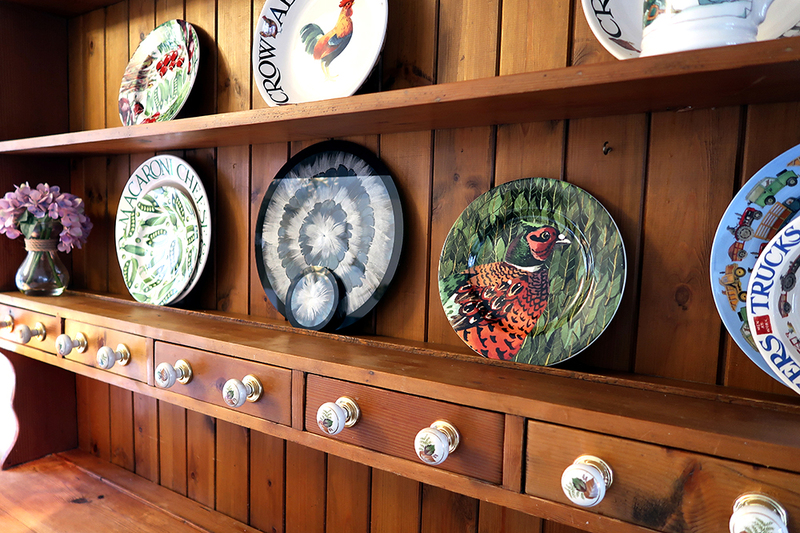 We have recently bought this farm house welsh dresser into our home. I'm in the process of tidying it up but I just wanted to show you how awesome it looks in a farm house setting too. It took me so long to decide on what design to go for! I consider these a piece of artwork. They are really beautiful and certainly a talking point. The designs are very bold and striking - I just love everything about them. I feel terribly posh using them. 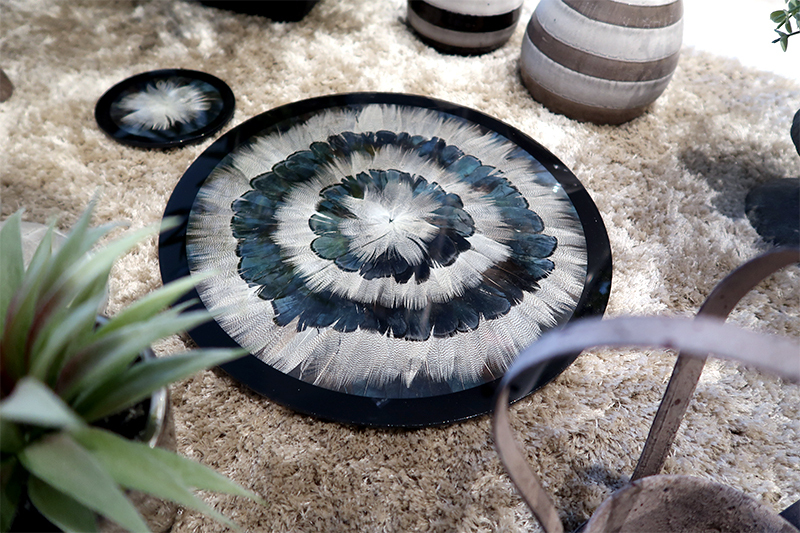 The black rim around the edge and black velvet baize on the underside give them a very elegant and sophisticated vibe. The presentation gift box is also lovely - great for storing them too. I think the fact they are real feathers makes them special, like bringing nature indoors. They are sourced as a by-product of the game season. "Over the last few years we have carefully expanded our collection, from scented candles and wine coasters, to belts and silk ties for men; all inspired by nature." I have tried to show you in my photographs that they look fantastic in both modern, style-conscious homes as well as easy going farm and country homes too. As they are made from glass these will last you a life time (if you look after them). 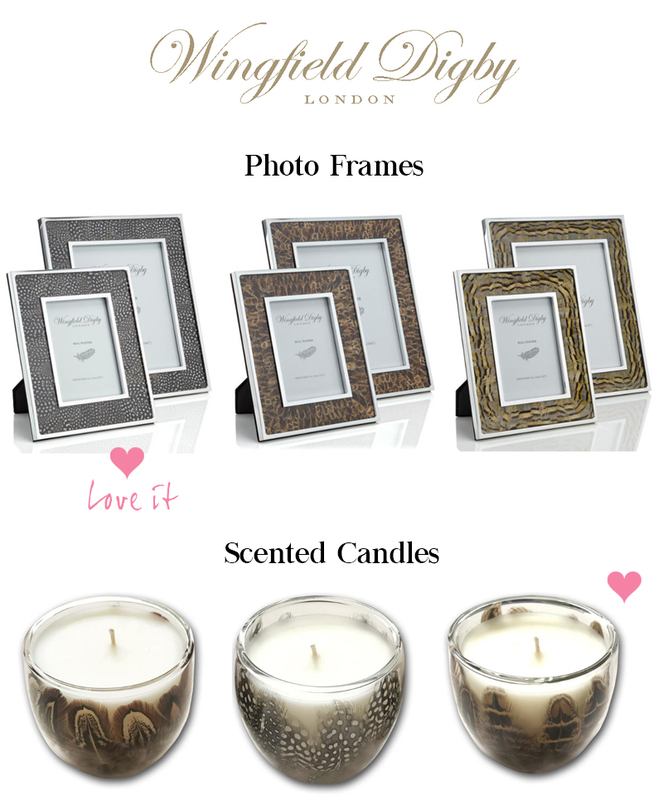 I think any of Wingfield Digby's products would make a spectacular gift! They are really unique, artistic and beautiful. The photo frame would be great as an anniversary gift and the candles could be recycled and used as decorative storage on your dressing table. Thank you so much Wingfield Digby giving me the opportunity to make my home look extra special with your Duck and Lady Amherst placemat and coaster set. Having an artistic background means I can fully appreciate your ideas and I think all of your designs are stunning. Are you as impressed as I am? What is your favourite design?